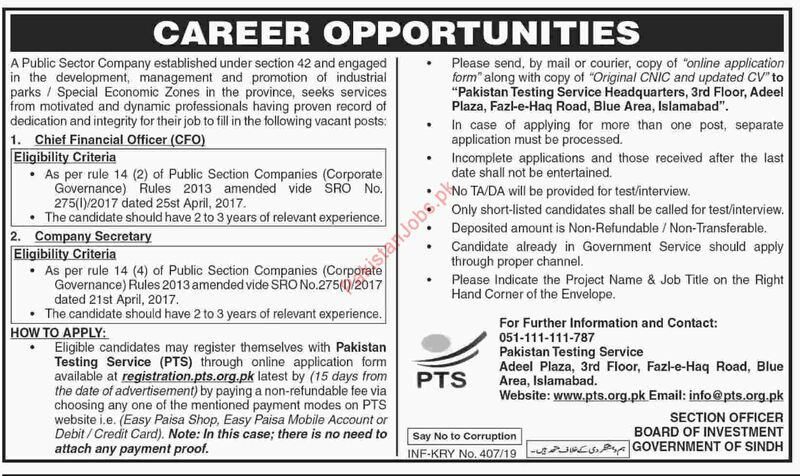 Chief Financial Officer and Company Secretary Careers at Public Sector Company in Islamabad. Candidates can apply online from pts site. No TADA will be admissible for interview.